Did you know that we could affect our environment in many ways? For example when we are driving, flying, heating our homes, even the type of food we eat makes a difference. However, the overall impact of our actions can be measured by carbon footprint. Carbon footprint is single figure that gives us a quick idea of our impact on carbon change. It is important for us learn how to calculate, compare and understand our carbon footprints. First of all, what does carbon means to us? Most of us will think about carbon dioxide (CO2) emissions which released when we burn carbon-based fuels such as petrol and diesel in our cars. Too much CO2 will cause air pollution hence leads to climate change that we called as global warming. It is because CO2 is a greenhouse gas that traps the sun's heat and keeps the earth warm. Back with the carbon footprint, it is the amount of CO2 that enters the atmosphere because of the electricity and fuel we use which measured in tonnes. Usually, carbon footprint depends on how much energy we use on the electronics and appliances, what kind of transport we use day-to-day and how often we fly. We use carbon footprints to help us understand our activities impact on the environment thus we would be able to find easy ways to lessen down the impact. How can carbon footprint be measured? Easy. Just use the carbon footprint calculator to estimate our carbon footprint. Enter details about our home, our travel and our appliances. The calculator will estimate how many tonnes of carbon dioxide we produce each year. We could reduce our carbon footprint by buying energy-efficient appliances, switching off electronics at the wall, walking, cycling or using public transport and holidaying closer to home. 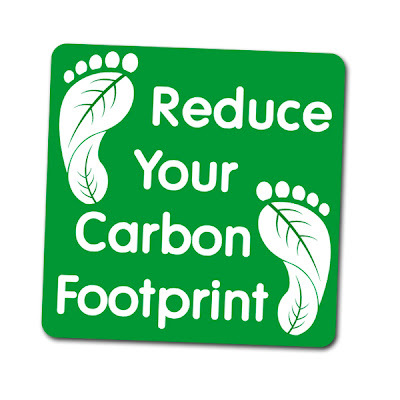 Calculate your carbon footprint now and together we save our environment! However, calculating the total carbon footprint is impossible due to the large amount of data required and the fact that carbon dioxide can be produced by natural occurrences. A measure of the total amount of carbon dioxide (CO2) and methane (CH4) emissions of a defined population, system or activity, considering all relevant sources, sinks and storage within the spatial and temporal boundary of the population, system or activity of interest. Calculated as carbon dioxide equivalent (CO2e) using the relevant 100-year global warming potential (GWP100). Greenhouse gases can be emitted through transport, land clearance, and the production and consumption of food, fuels, manufactured goods, materials, wood, roads, buildings, and services. Most of the carbon footprint emissions for the average U.S. household come from "indirect" sources, i.e. fuel burned to produce goods far away from the final consumer. These are distinguished from emissions which come from burning fuel directly in one's car or stove, commonly referred to as "direct" sources of the consumer's carbon footprint. The concept name of the carbon footprint originates from ecological footprint,discussion,which was developed by Rees and Wackernagel in the 1990s which estimates the number of "earths" that would theoretically be required if everyone on the planet consumed resources at the same level as the person calculating their ecological footprint. However, carbon footprints are much more specific than ecological footprints since they measure direct emissions of gasses that cause climate change into the atmosphere. Once the size of a carbon footprint is known, a strategy can be devised to reduce it, e.g. by technological developments, better process and product management, changed Green Public or Private Procurement (GPP), carbon capture, consumption strategies, and others. Do you know that there's a handy app introduced by Siemens for mac smart gadgets - iPad, iPhone, iPod Touch..... Can be downloaded directly from Apple iTunes Store for free. Suposed to help engineers and facility managers to manage a building’s baseline carbon footprint due to purchased electricity, natural gas and heating oil.